Tedy: Revis gets a lot of talk, and also Bart Scott and Jason Taylor, all bigger-name players, but I really like safety Jim Leonhard. I see him as the glue that keeps it all together back there. 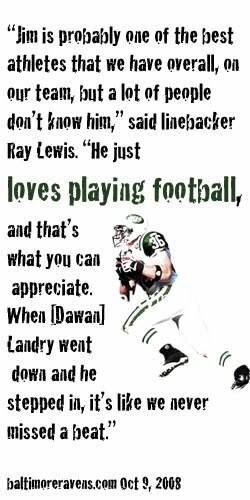 He's a great special teams player and on defense, he knows Rex Ryan's system inside and out. Rex brought him over from Baltimore and he keeps everyone on the same page and has made big plays for them. I think he's underrated.